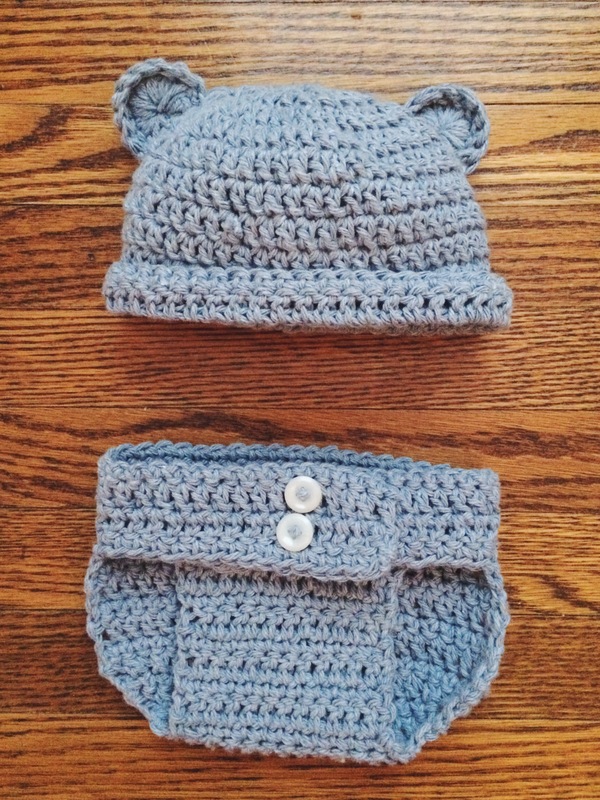 Crochet: Baby Sets – Yarn, Things, Etc. My co-worker is pregnant, and we both have Pinterest, so obviously I have been spending most of my free time crocheting cute baby things. Most of them are photo props, because let’s be real: What baby is going to keep a floppy bunny hat on their head for more than five seconds? But the sets are adorable and that’s all that matters. She doesn’t know if she’s having a boy or girl, but girls look great in blue as well. 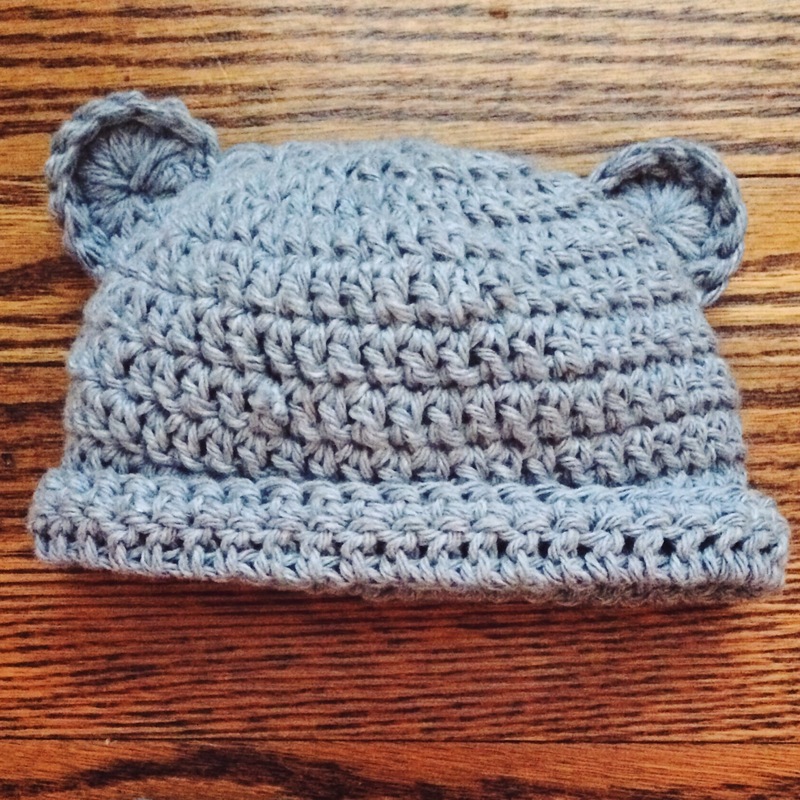 A cute little bear hat knows no gender. This was really just a prototype for the main bunny hat; luckily it turned out pretty well! 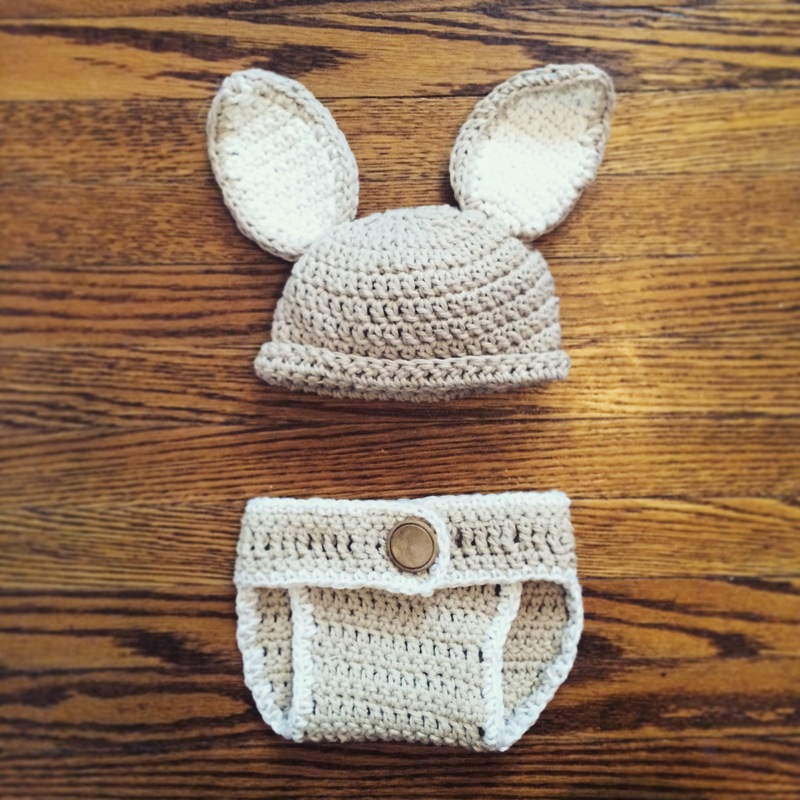 The bunny set was a product of Pinterest and it is honestly too much. I can’t even look at it without squealing. There are pipe cleaners in the ears to make them bend, which also makes them a bit heavy, but this one is 100% a photo prop. Too cute for words. And this next one is actually ridiculous. In a weird way, it’s probably my most successful project to date. It took a lot of troubleshooting and recalling crochet techniques. 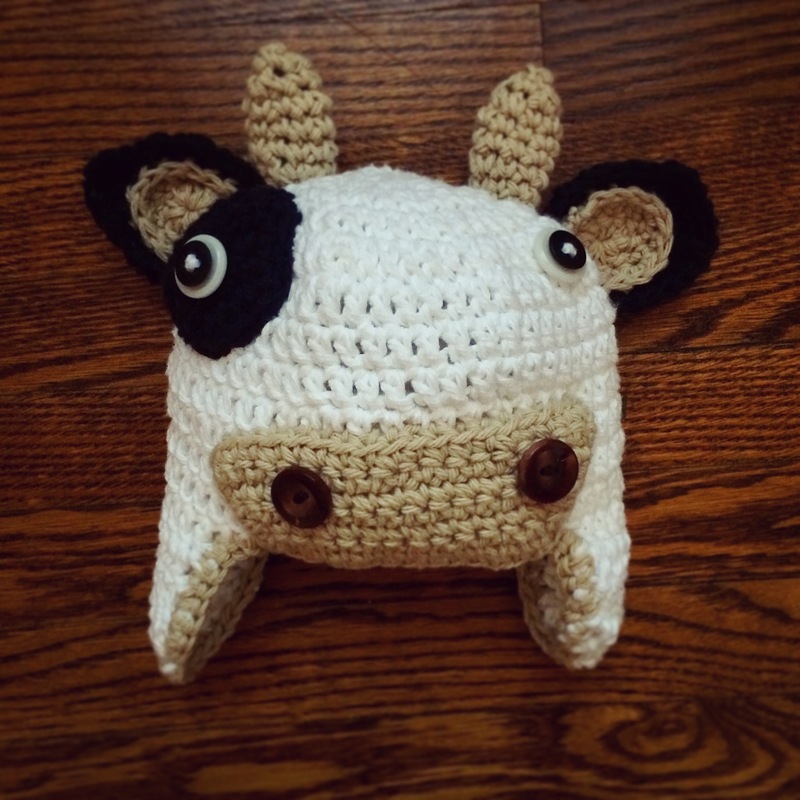 The picture doesn’t even fully show the craziness that is this cow hat. Should I have any children in the future, they will almost always be wearing stuff like this. Anyways, I hope you enjoy this little snippet of my baby projects. Click below for links to all of the patterns and inspiration photos. I would never take credit for such great patterns– they really helped as I tried to replicate some pretty intricate projects.